And while I’m usually smothering it in hummus, then cramming as much grilled meat into the bread as possible, Chef Brian has me going Greek with Week 16, Meal 2: Turkey gyro with feta cheese and tzatziki sauce. Start by preheating the oven to 350 degrees. 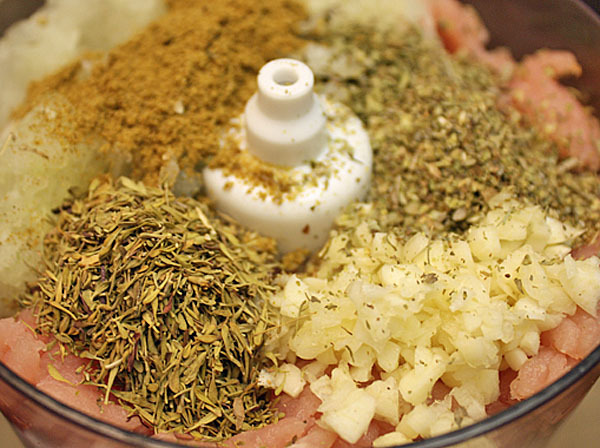 While the oven is heating up, put together the mix for the gyro meat by combining in a food processor 1/2 lb. of ground turkey, 1/2 of yellow onion (grated), 1 clove of garlic (minced), 1 t of dried marjoram, 1 t of dried thyme, 1 t of cumin and 1 t of dried oregano. Add salt and pepper, to taste. Pulse until well combined.The mixture will resemble more of a meat paste than the chunky mixture it was before, which is the look you’re going for. 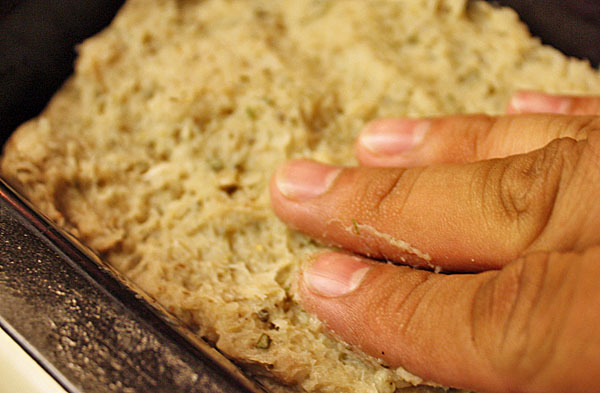 Remove from the processor and form into a loaf. Bake in the oven like a meatloaf until fully cooked but still juicy, about 20 minutes. Let the meat rest after it comes out of the oven, so that you can allow it time for the juices to soak back into the meat. 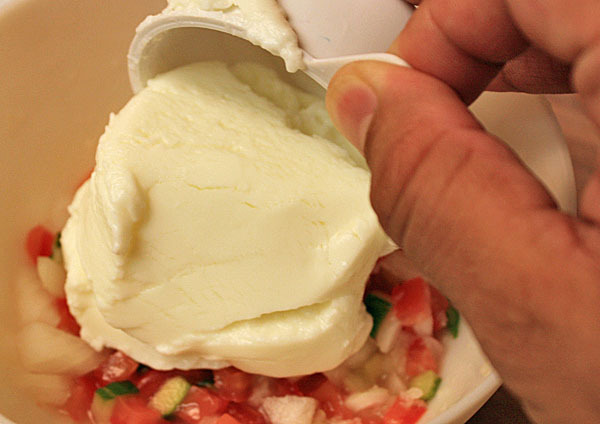 While the meat cools, put together the tzatziki sauce. Drop the super-small dice on 1 tomato, 1 T of cucumber and 1 T of onion. Grate 1 clove of garlic. Combine with the juice of 1 lemon and 5 oz. of Greek yogurt. 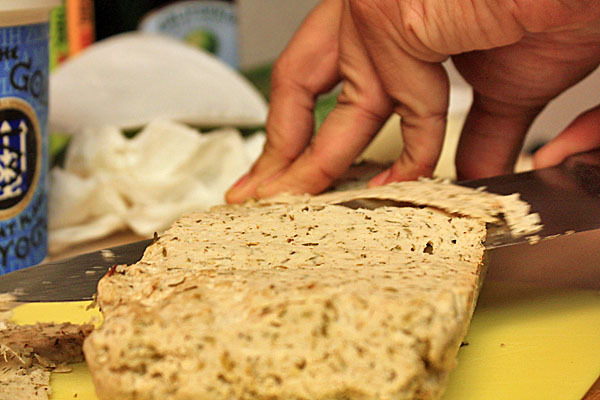 Instead of slicing the gyro like a meatloaf, shave thin slices across the top of the loaf. 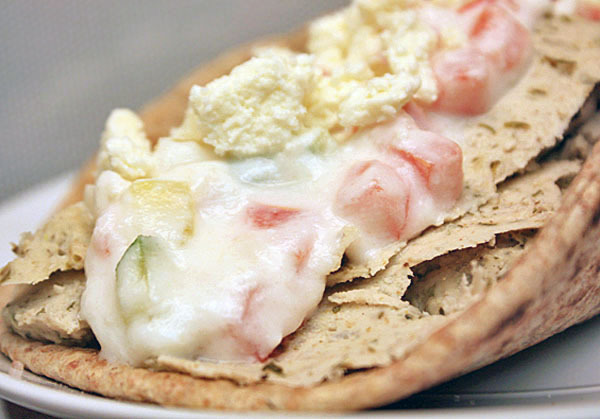 To plate: Warm 2 whole wheat pitas. 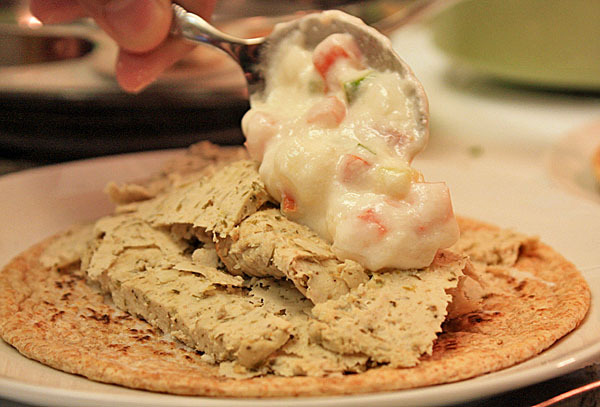 Wrap your share of the gyro meat in the warm bread and top with tzatziki and 1 oz. of crumbled feta cheese on each gyro. With the cumin, marjoram and garlic, I knew the flavors would be spot on, but what I was pleasantly surprised to find was how much the texture of the meat — after being run through a food processor — matched up with what I would order in a Greek restaurant. I’m thinking of trying this one again with grass-fed ground beef and ground lamb — you know, on a free day.